With an increase in Shanghai Stock Exchange volatility and some exciting stuff happening on the macro front i.e. Greece, things are no longer as boring as they have been for a while. I will only make one comment regarding economic jawboning. Everyone is talking about an increase in interest rates in the US later this year, even Janet Yellen. However the IMF warns strongly against doing so as the economic recovery is simply too fragile, with recent economic GDP & consumer numbers backing this up. This is precisely what my point has been, despite market analysts repeatedly reporting the strength of the US economy and the global recovery for that matter. What is clearly evident with the Greece default rerun is that using Zero Interest Rates does nothing more than provide “life-support”, very rarely does the patient come off life-support and function normally. To achieve normalicy one needs a viable prognosis and then the appropriate medication. We have not witnessed this in terms of the global economic recovery. All we have seen is zero interest rate life support. On a happier note, the Freestyle fund has taken poll position on an absolute return basis with much lower volatility. Still early days but things are looking like they may get quite exciting in the coming months. The global stock indexes have been so boring the last few months, at least for me. Finally there appears to be action, and its not only in the stock indexes it is happening in currencies and bonds as well. I am trying not to get ahead of myself but I think finally there is some economic reality entering into the picture. Of course the market gurus are all saying that we mustn’t compare Greece to Lehman Brothers, and others are trying to dismiss all the current volatility as nothing to be alarmed about. I have felt for some time that Hyman Minsky’s instability thesis has been gathering fragile energy. Greece in my opinion is a big story as it has archetypal connotations. Greece has been going bust and leaving the Euro forever, but the only way to treat something that is bankrupt on your balance sheet is to accept it is worthless and write it off. We know that creditors with dubious debts simply close their eyes to that reality and make as if it is ok by playing with the terms of the repayment in the hope it will all come good. I myself have a loan to a company that I value anywhere from zero cents in the dollar to the full amount depending on my mood of the day. We delude ourselves into believing what we want to believe and what is the most convenient to making us feel good. 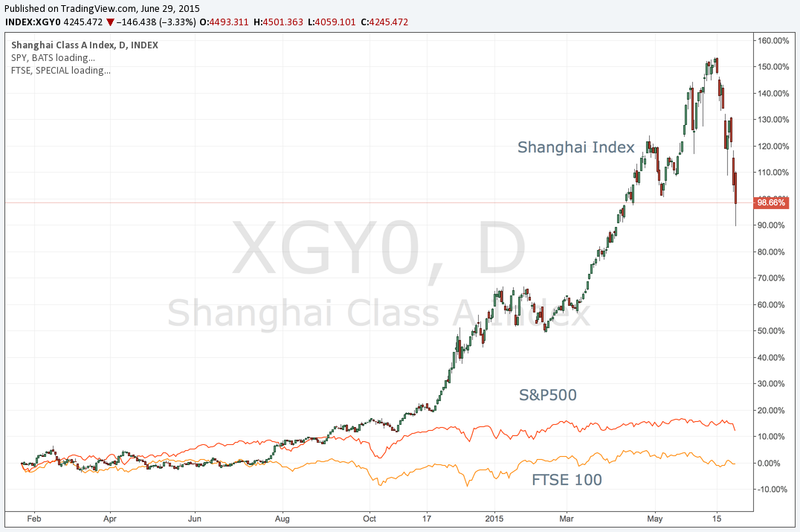 Check the sell off of the Shanghai Exchange the last few weeks, I am comparing it to the S&P500 and the FTSE 100. Clearly it has been shooting the lights out over the last year, in fact the last 2 years it has been flying. Could this also be the end of a major cycle. Property is the national religion in Australia. Remember this is a country that has gone more than 20yrs without a recession. Remember Australians call this place the “Lucky Country”. Remember the Austrian business cycle? Well the central banks the world over would have us believe that the business cycle is no longer the force it used to be. Today I am not going to rant on about the impotence of the central banks ability to create the stability they believe is vital to the economy. My thesis as an Austrian and as a Jungian is that the business cycle cannot be eliminated because it is natures way of dealing with excesses and inefficiencies, and slipping my Jungian hat on, the interfering with the natural order causes a displacement of the equilibrium of the psychic energy in the actors making up the economy. This displacement is what I call the “market complex”. Zoning into my subject line. From my observation deck there is an almost hysterical narrative in the daily media relating to the booming residential property market. It is on everybody’s lips and I mean everyones. Property is flying and there is an ABSOLUTE belief that property can only go up which is creating this self-fulfilling feedback loop where people are too scared to miss out and therefore will do anything to purchase a property. The thing is the economy is really not doing well, yes there are pockets of prosperity but with the drop in many of the core commodities making up our resource economy this has put a significant break on the economy (despite the weakening currency). Retail is doing it tough and wage growth is simply not keeping up with the cost of living. Unaffordability according to my index not the ones concocted by government mandated statisticians is growing so many of the factors required to support this dramatic rise in residential are simply not present. I see one factor doing all the heavy lifting and that is the artificially low interest rates the world over. The minute you manipulate the driving forces influencing the market you introduce the prospects of a Complex. As Jung describes the complex as a force that can erupt at any time with an intensity that is directly related to the psychic energy it constellates. We arrived in Australia as a family in December 2007, and our extended family who had converted to the Australian property religion told us “you have to buy immediately”. I resisted and in April 2009 when the Australian property market was experiencing its first modest pullback in 30+ years I bought a great property in a good deal. The market stabilised and started climbing again and it was all happy days. My wife and I saw great potential in our large by Sydney North Bondi standards 5 bedroom house to apply for a rezoning and develop 2 smaller modern semi-detached homes on our property. It took us almost 2yrs from start to finish to get the zoning and archetictural designs to our desired standards, and then the market was soft. In all the time we had lived here it was the most negative people had been on property and the market was incredibly soft. The agents we were speaking to thought we could just get our money back despite an approved “DA” on the title deeds. Certain things came about regarding the development specifically and my business life in general, then we were offered a great price in the current market by a developer and my wife and I decided this was a message and we should take the deal which included a nice profit on the 2009 purchase despite the costs incurred so we sold and became renters. There is no doubt that our decision was the responsible one at the time; however, I would be lying if I didn’t say that I don’t feel a certain amount of regret with the benefit of hindsight when considering how much money we left on the proverbial table. In fact the reason why I know I have developed a “complex” about this is because I can identify how my body and mind react when the subject of residential property comes up for discussion. In conclusion, I am a student of economic history and while I may be wrong on my timing, what is a decade here or there, I believe I will be right in the fullness of time. 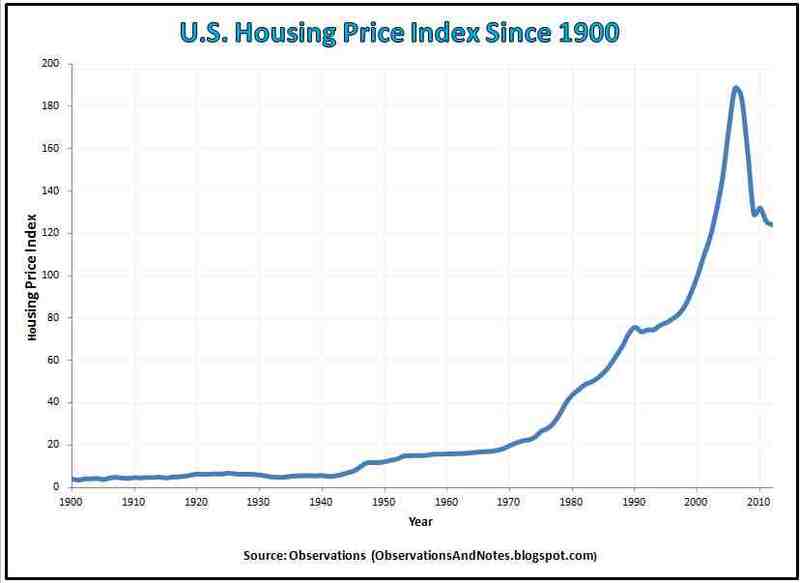 As you can see in the chart above residential property markets enjoyed uninterrupted positive growth of more than 100 yrs in the USA; cycles like this have a way of imbedding neural pathways into ones brain and psyche that one cannot even contemplate something to the contrary, this in my opinion is what has happened to the Australian psyche. I am not predicting a complete bust, as there are many positive demographic drivers that will help support the property market at an unknown equilibrium clearing rate. However I will continue to stick my neck out and say that the current levels are unsustainable. I so despise the current markets where risk takers are being rewarded with puny returns relative to the HUGE risk they are taking, yet the common wisdom is that the risks are actually very small when central banks have your back. I have never deleted as many macro market commentaries from my inbox, even the newspaper and my favourite blog sites cannot shake the malaise and contempt I feel for the markets and her participants. I have been here before (a couple of times) and I know how quickly the inspiration and passion will return when I see/feel some sort of equilibrium return. I have no interest in changing the fabric of the tapestry I have designed as my capital world view. I am a contrarian with a highly activated warrior archetype force-field. I write this feeling proud of this “affliction” but caution myself not to become too identified with such a polarizing force as it can be highly destabilizing. There is nothing worse than being on the outside of a bubble mania. 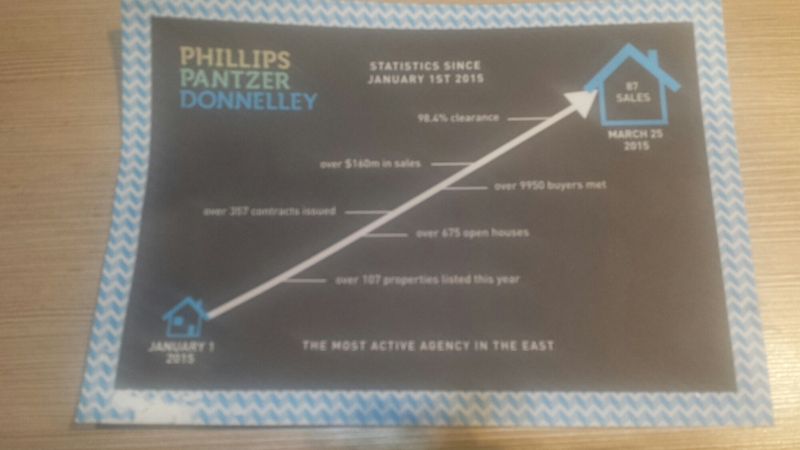 Sydney residential property is on fire and we sold our home 18 months ago. The economy is in the toilet but these low interest rates together with overseas buying are fueling the frenzy. As a student of economic history I have seen this all before but it doesn’t take away from the annoyance of listening to “this time is different”. As I have mentioned in a previous post, Sleeping beauty the difficulties associated with watching a loved one in pain and not being able to help. I have come to realize that whenever someone’s expertise is sought in no matter what field there is very little certainty the more complex the condition. I am not referring to a case where there are scientific tests where a pathology report can give a confirmed diagnosis. I am talking about those complex mosaics where the diagnosis comes from looking at many different variables. I know this first hand as my step-father is a doctor and I have listened to him describe how one digs deep into their experience and look for an intuitive edge when trying to make a diagnosis of a complex condition. He always says medicine is an “art and part science”. The other day a certain condition presented to the doctor looking after my daughter that prompted us to consult a good friend of ours who is a pediatric cardiologist. Following a lengthy consultation it appears we may have come up with a rare condition diagnosis that could explain my daughters hell over the last 6 months. However, it isn’t so clear cut as that. The team of doctors on my sleeping beauties case are not all convinced with this new diagnosis. When I think of the markets and the economy I used to think as a young university student that the answers were clear-cut in black and white. It seemed so obvious if inflation was at x level and interest rates at y that the obvious solution would be z. As I got older I realized that the variables I was considering were only the main ones, however each main variable had their own derivative branch of visible or psychological variables making for an infinitely complex system, that NO ONE EXPERT has the solution for all the outcomes. At this point of my epistemological journey I realized that one has to apply considered judgement to the complex. Last Sunday I spent a few hours on a very important communal committee which required deliberating on a policy that would have far reaching consequences. The person who made the largest contribution to the deliberations was an active Judge of the Supreme Court. I was really impressed by the process in which he unpacked and then approached the issue. This got me thinking about how we deal with decisions and express expert opinion without absolute knowledge. Like a judge who wasn’t at the scene of the crime, there is no way of knowing with absolute certainty (excluding cases where there was video footage, like the blood test for a doctor) who did what exactly. Rather the expert is expected to consider all the evidence and apply a test for reasonableness. I think we need to really view ourselves like judges when making a judgement call on the markets. I think this is a terrific chart presented by Jawad Mian. I am so tired of everyones postulating whether the USD is going up or down, and whether the Fed is going to hike or not. Who the hell knows when the Fed will hike, but going back to 1970 and the last 17 Fed hike (starts) cycles the USD has actually weakened. I find this kind of empirical research informative.